BOOM! Dreaming of that monster 300-yard drive off the tee? The right golf ball could help. You might need to sacrifice some spin/control for extra yards, but if distance is what you’re aiming for, then that is nothing to worry about. Here is our look at the best distance golf ball for the average Joe (slower swing speeds). First, what are the factors that make up the best golf ball for distance? Spin – Too much backspin will create more resistamce, and less distance on your drives. Too much sidespin will create unnecessary side-to-side movement at the cost of pure distance. Therefore, the best distance golf ball is one with low spin. Compression/Density – For average golfers with a slower swing speed (less than 90mph), you are better off with a low compression ball, as it will feel better on contact and will go farther for you. If you have a high swing speed (> 90mph), then high compression, or tour-level golf balls tend to work better. Layers – For the average golfer, a 2-piece (or 3-piece) ball will fly farthest. They are harder, and provide less spin than multi-layered balls. With some newer 3-piece balls, you will be able to get the same distance as a 2 piece ball, while maintaining more control. 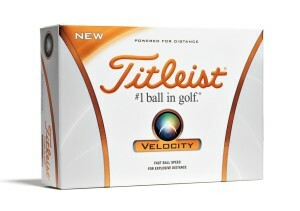 Titleist is the #1 golf ball brand in the world, and the Titleist Velocity is their longest ball. It features proprietary LSX core technology for the “fastest solid core” of any Titleist golf ball. The result is greater distance from every club in your bag. As with all Titleist balls, these will cost more than average. The Callaway HEX Warbird provides one thing: maximum distance. It is a 2-piece ball with a large soft core that uses Callaway’s signature HEX dimple design. The HEX dimples cover 100% of the ball (no flat spots), which leads to reduced drag, and more consistent flight paths compared to standard dimpled balls. The HEX Warbird is also very value-priced at only $17 per dozen. 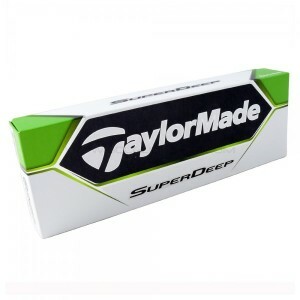 The appropriate named SuperDeep Golf Ball is a 2-piece, super low compression, super low-spinning, and super-super soft ball offering from TaylorMade. It is perfect for golfers with slower swing speeds, and will instantly add extra yardage to your drives. It is also of phenomenal value at only $15 for a dozen. The SuperDeep was awarded a gold medal from Golf Digest in its annual Hot List testing in 2013. The Srixon Soft Feel Golf Ball was specifically designed for golfers with slower swing speeds (70+ mph). The 2-piece, low compression, super soft core will allow you to hit higher, and farther while maintaing a soft feel. The ball also has “alignment arrows” painted on to help you line up your putts. 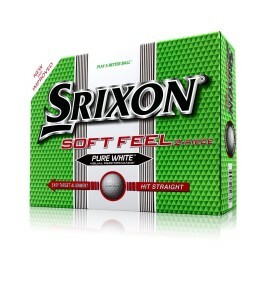 The Srixon Soft Feel comes in yellow, or white. 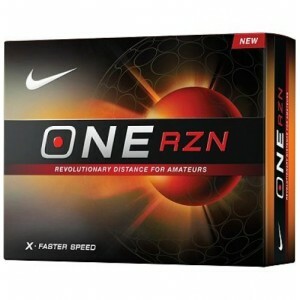 At just under $1 a ball, these are easily the cheapest golf balls on the list. Mainly because they are from an unkown brand. But, just because they are cheap, doesn’t mean they aren’t good! 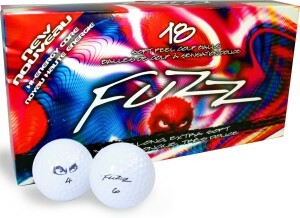 The Fuzz Balls are meant for slow swingers — they very soft, low compression, 2-core ball, that offer great distance off the tee. If you want to try something against the norm, then pick up a pack of Fuzz Balls. They’re cheap, and they work! ‹ What’s the Best Golf Swing Trainer? I am 71 yrs old and have been using Srixon Q ball but would like more spin around the green. After doing research, it seems that Fuzzball changed their manufacturing process at some point, creating inferior balls. On Amazon, the only negative reviews again Fuzzballs are those asking them to bring back the original design. 68 years old and stiff from a back injury. Bought the Hex Warbird(yellow) to try. Goes far and high. Easy to find. 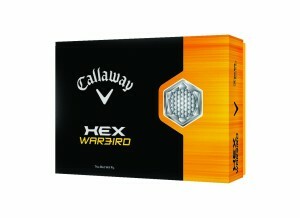 Preferred the Callaway Hex Diablo but hard to find now. Have played Velocity ad e6. Warbird is a great ball at a great price. I played the Nike MOJO balls the other day. I must say I was extremely impressed with how it flew through the air. It is by far the furthest ball I’ve hit. I’ve played titleist prov1-x and prov1’s, taylormades rocketballz/ burner 2.0’s. The mojo has out drove those balls at least for me. 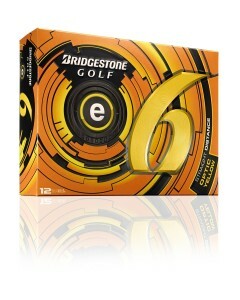 I might try the Bridgestone e6’s next. But man the mojo was great off the tee, not as much bite on the greens as other balls, but still $19 for a 24 pk is hard to beat. dunlop steel core. farherest balls I have ever hit. Volvik s3 would be next.